MANILA: A Chinese ship acted aggressively against a Philippine military plane on patrol over waters claimed by Manila in the disputed South China Sea, a military spokesman said Friday. The Chinese vessels flashed powerful lights and radioed the Philippine navy plane to leave the area near one of the islands in the Spratlys chain occupied by Filipinos, Lt Col Harold Cabunoc said. He said the pilots ignored the Chinese ship’s actions on Sunday to avoid escalating the confrontation. He said the incident happened closed to Subi Reef, which is near Pag-asa Island, also called Thitu Island, which is occupied by Filipinos. Earlier this month, a Chinese coast guard vessel fired a water canon at Filipino fishermen and seized some of their catch near Scarborough Shoal north of the Spratlys. Chinese ships also have in the past blocked Philippine vessels bringing fresh troops and supplies to one of its naval vessels being used as an outpost on Ayungin Shoal, which is claimed by Manila. The Philippines filed a case in 2013 with the international arbitration tribunal challenging China’s claims over virtually all of the South China Sea. The Philippines also has protested Chinese land reclamations in reefs in the disputed area to create new islands. Philippine military officials say that the reclaimed land could be used as air force and naval facilities by China. 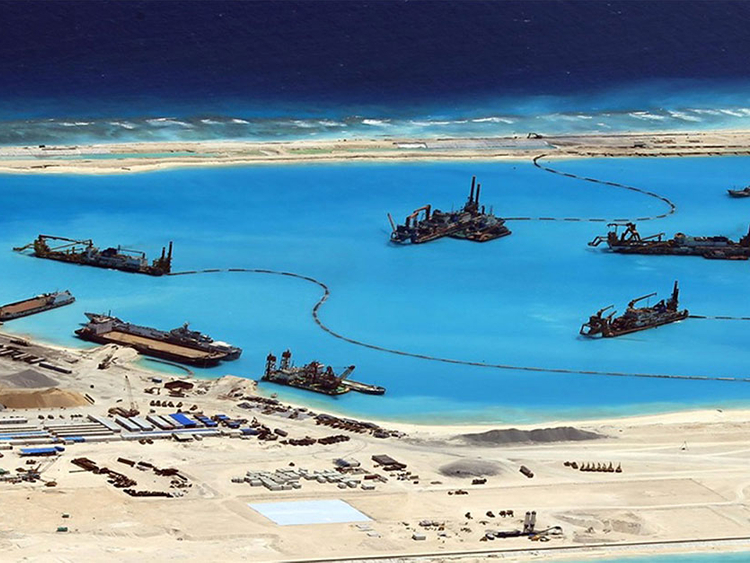 Beijing has defended the reclamation, saying it is in Chinese territory and that the buildings and other structures being constructed are for public service use and to support Chinese fishermen. Taiwan, Malaysia, Vietnam and Brunei also have overlapping claims in the South China Sea. Aside from possible oil and natural gas resources, the vast region also straddles busy sea lanes and rich fishing grounds.